Double vision is one of the most common vision issues affective Americans over the age of 60. There are many potential causes for double vision, which is why it is always recommended to speak to an optometrist and schedule a comprehensive eye exam to assess the reason for your double vision. Many of the treatment options in Charlotte are more specialized and require a vision therapy eye doctor that has extensive experience treating double vision. 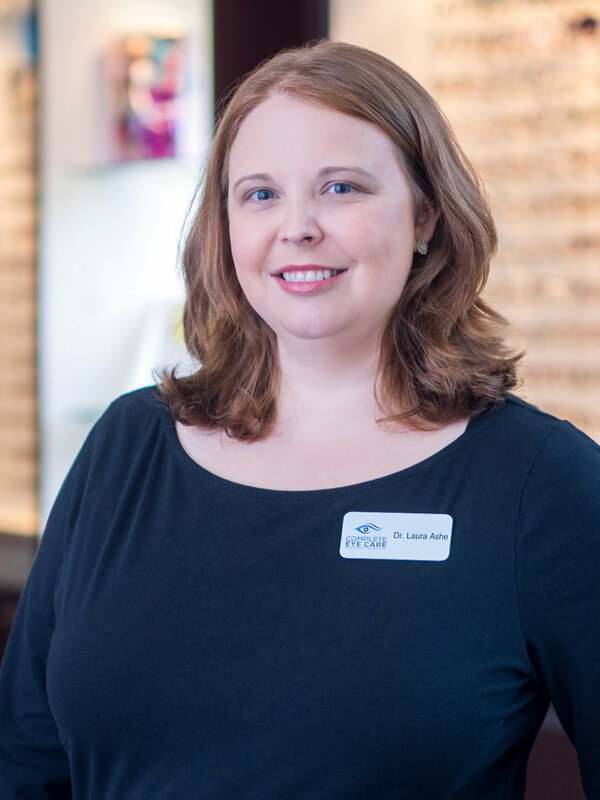 Our vision therapy eye doctor, Dr. Laura Ashe has extensive experience working with double vision patients of all ages from 3 to 103. Double vision or diplopia is a symptom attributed to a few different conditions that causes a single image to appear twice. This double vision phenomena can happen by seeing two images side by side, two images one on top of the other or a combination of the two. Strabismus-A condition where the eyes are not aligned properly. This can be one eye turned slightly or both eyes. Strabismus can either occur at all times or intermittently. A common example is alternating eye turn which is when the eye turns out some of the time. Keratoconus- A bulging of the cornea that is best addressed with custom scleral contact lenses. Presbyopia-A natural occurrence with aging, farsightedness is caused by the elasticity of the eye to weakening over time, presbyopia begins between the ages of 40-60 and is commonly associated with reading glasses and multifocal glasses and contacts. Traumatic Brain Injury- One of the common symptoms of brain injuries such as a concussion is double vision. Eye Teaming Issues-If the eyes do not work together properly (Convergence Insufficiency and Convergence Excess) symptoms include double vision. Severe dry eyes- The extreme lack of lubricant can cause ghost images which is a form of double vision. Thyroid Disease- Also called graves disease, this affects 1/200 people with women being more likely. 60-85% of people with graves disease will have vision issues like double vision. Diseases affecting the nervous system such as Nerve Palsy, multiple sclerosis, nervous system inflammatory lesions, and Guillain-Barré syndrome. Cataracts-One of the most common reasons for double vision over 60 is cloudy lenses associated with cataracts. Can Vision Therapy help with double vision? Vision therapy is a therapy based program that works at the patient's pace to train the brain and the eyes to work together. Our vision therapy doctor will use different exercises and tools to address the underlying cause of your double vision. Not every cause of double vision can be corrected with vision therapy, however, vision therapy is successful at helping patients with strabismus, eye teaming problems such as convergence insufficiency and excess, and traumatic brain injury. Can you have double vision in only one eye? Almost all cases of double vision are with both eyes, however, some cases which are due to a physical problem in one eye such as astigmatism or a specific type of cataracts can also cause double vision in one eye. This is called monocular diplopia. Is driving safe with double vision? It is considered unsafe to drive with double vision, one of the most common issues is the doubling of headlight glare during night driving. However, depending on the cause of your double vision there are many options such as prisms, shaw lenses, patching, therapy or other means of enabling you to drive.